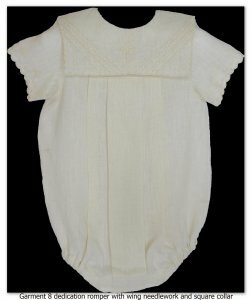 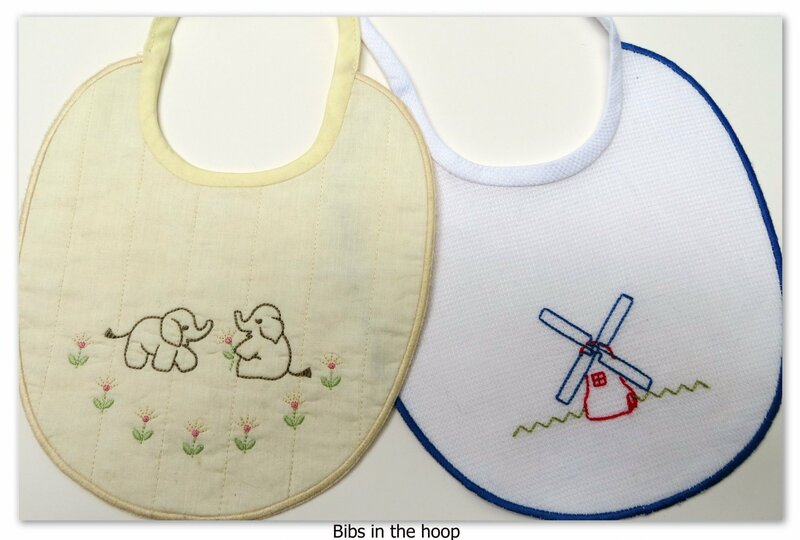 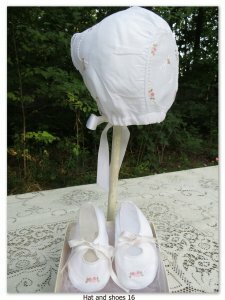 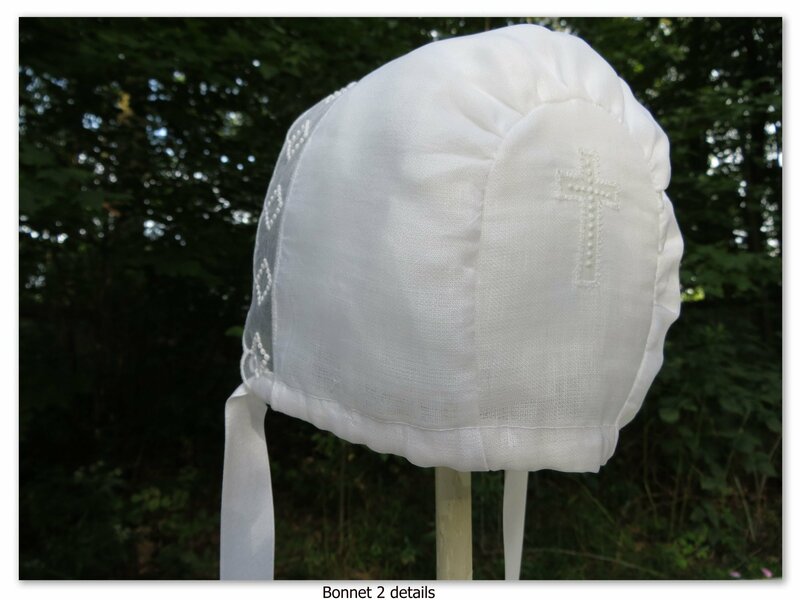 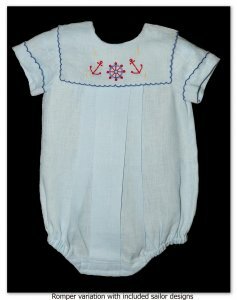 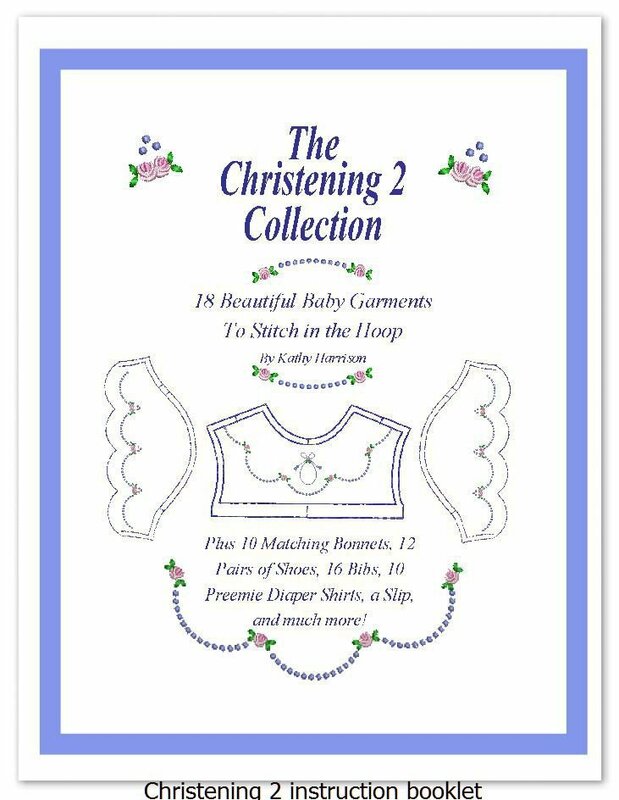 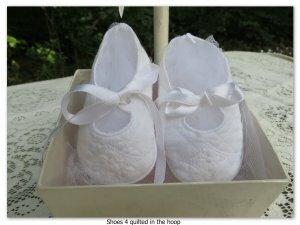 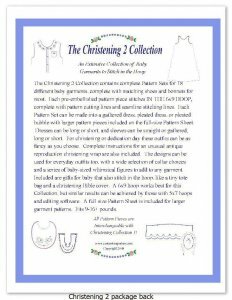 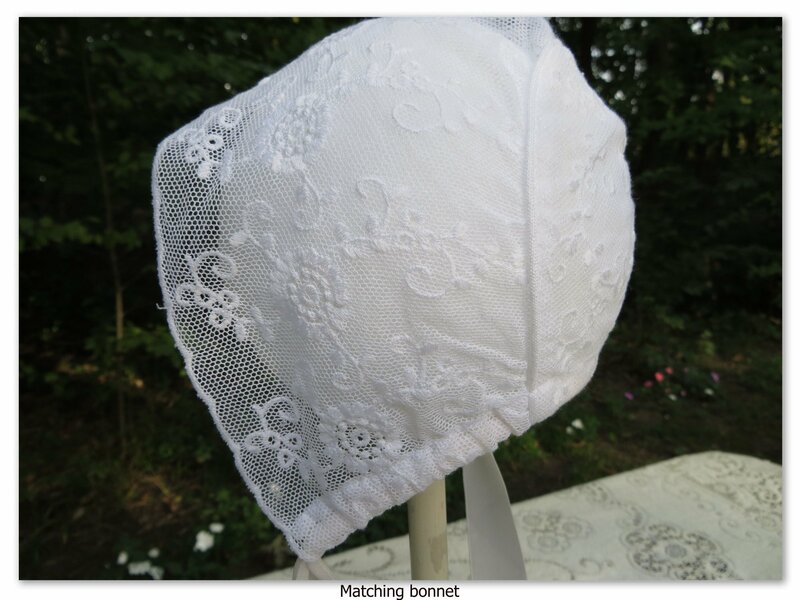 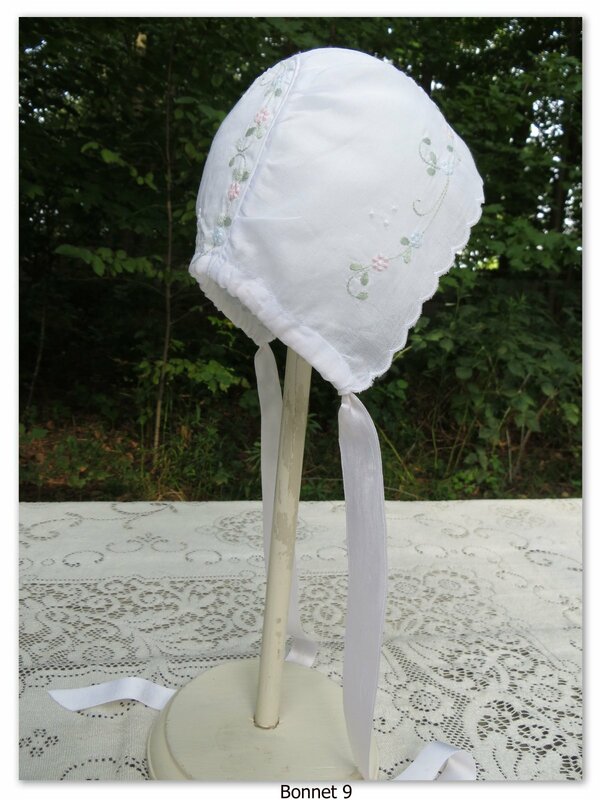 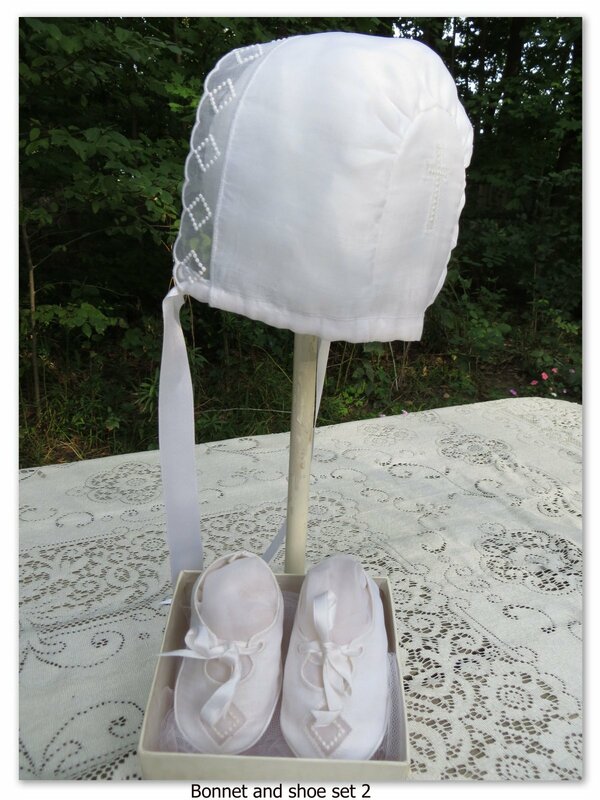 The Christening 2 Collection contains all the little dresses and rompers that you need for a baby girl or boy, including the following In the Hoop projects: 18 different Garments, 10 Diaper Shirts, 15 Bibs, 15 Bonnets and 12 Baby Shoes! 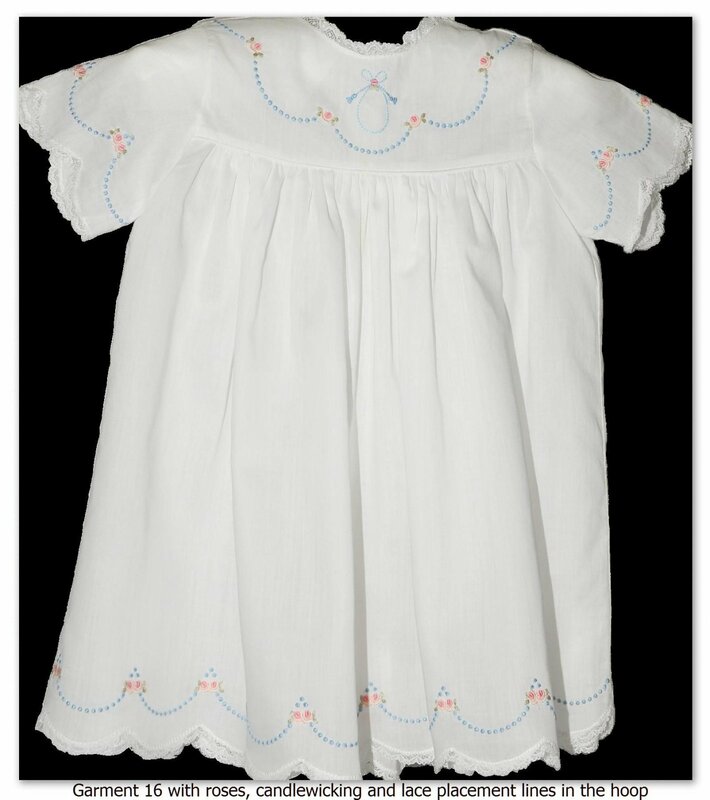 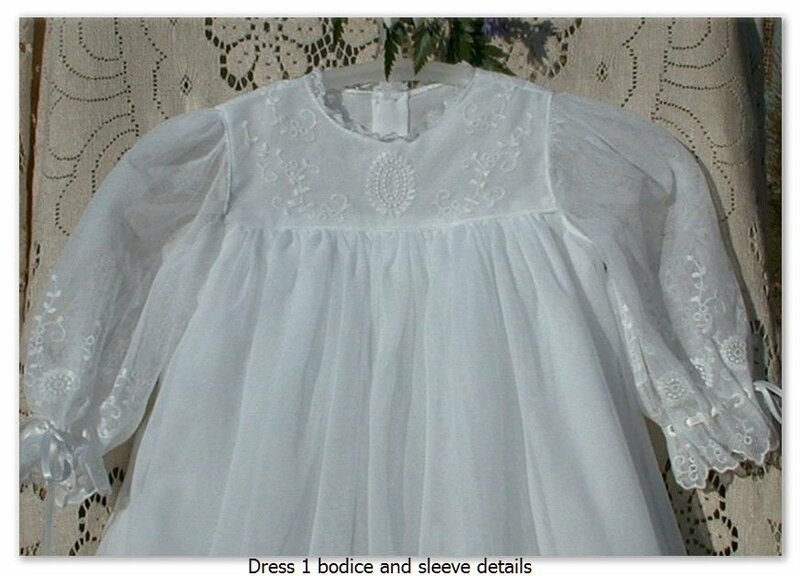 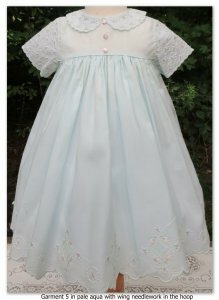 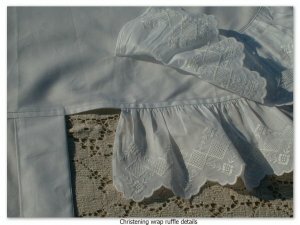 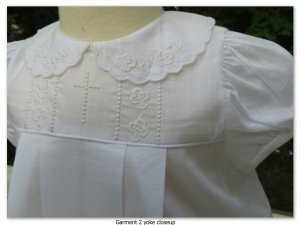 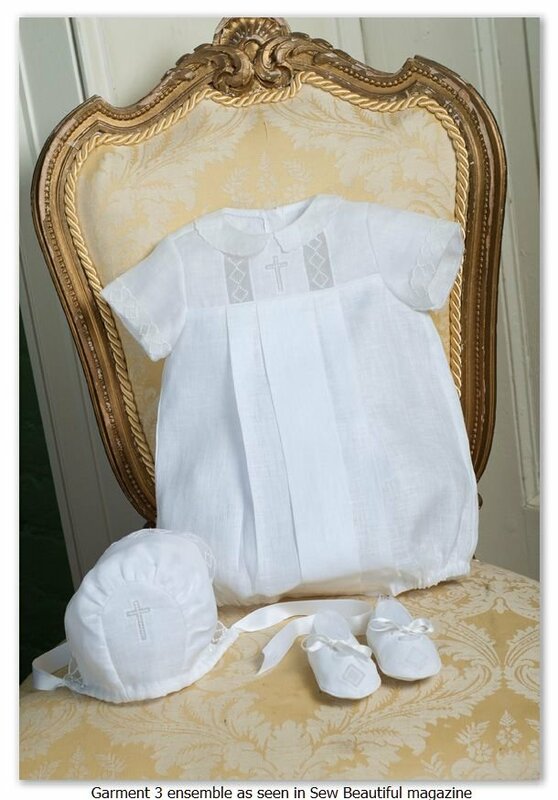 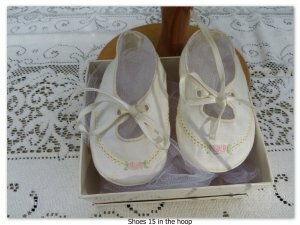 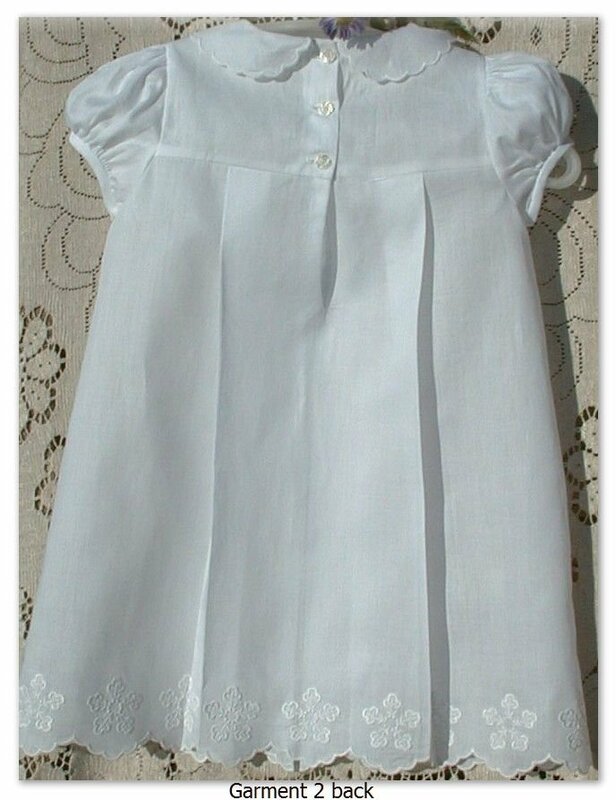 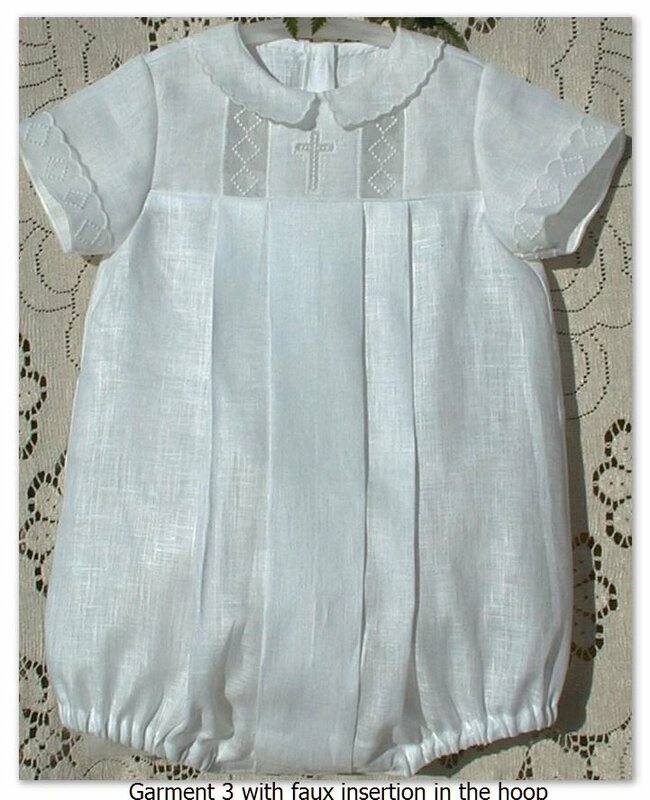 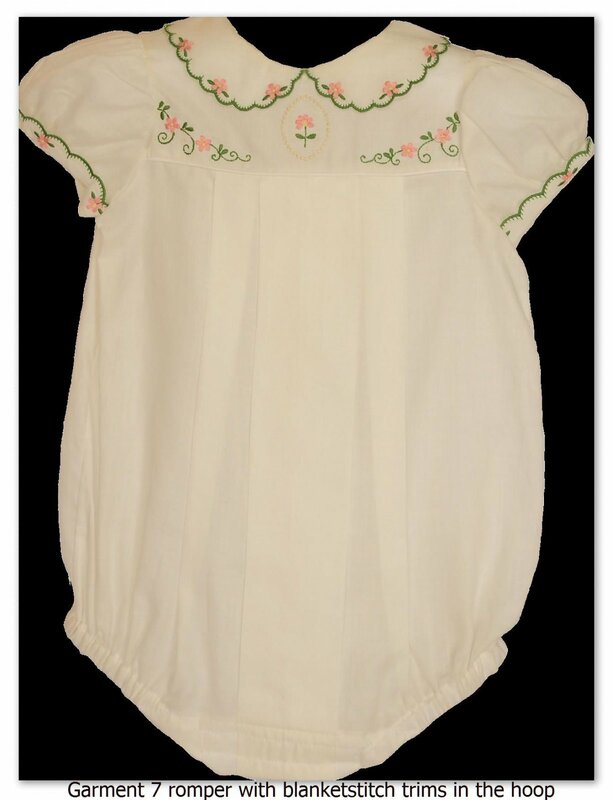 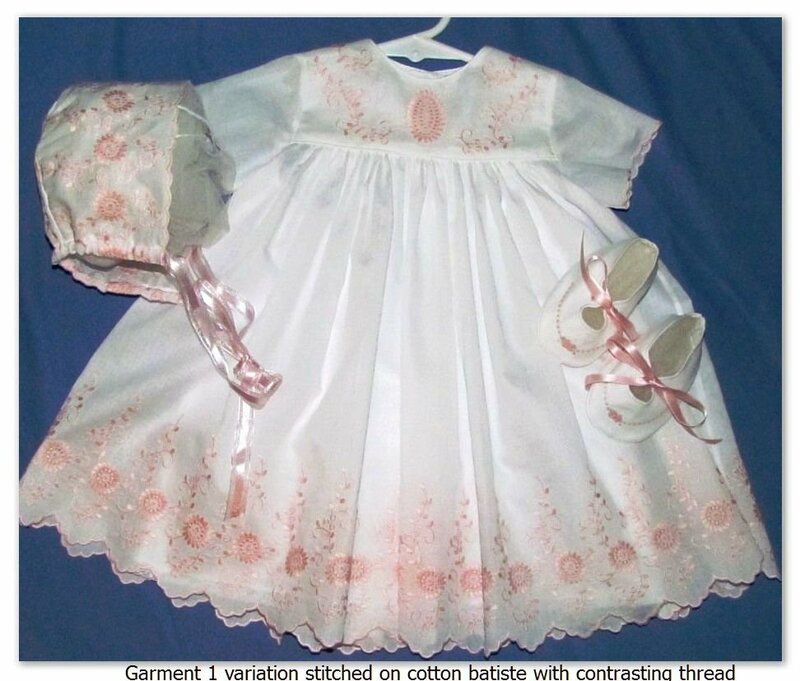 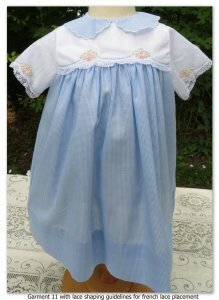 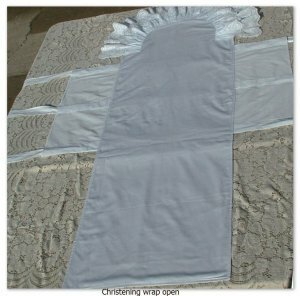 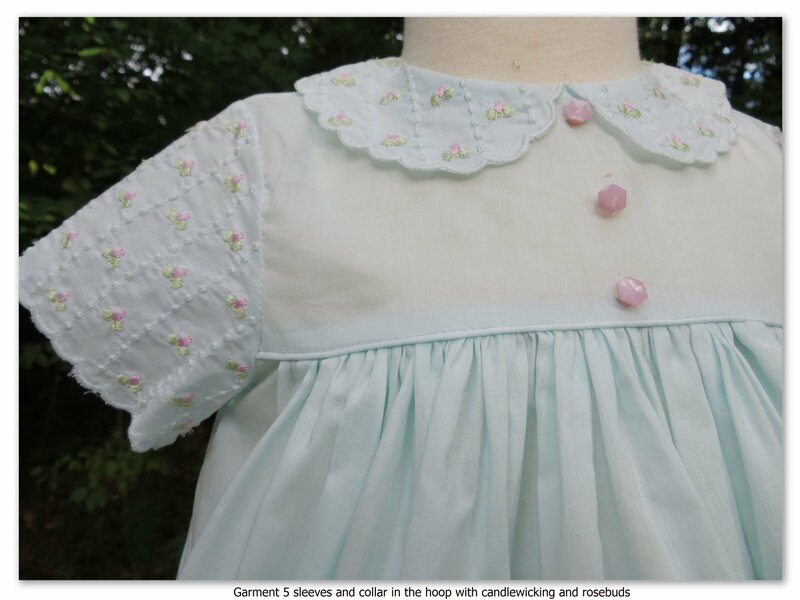 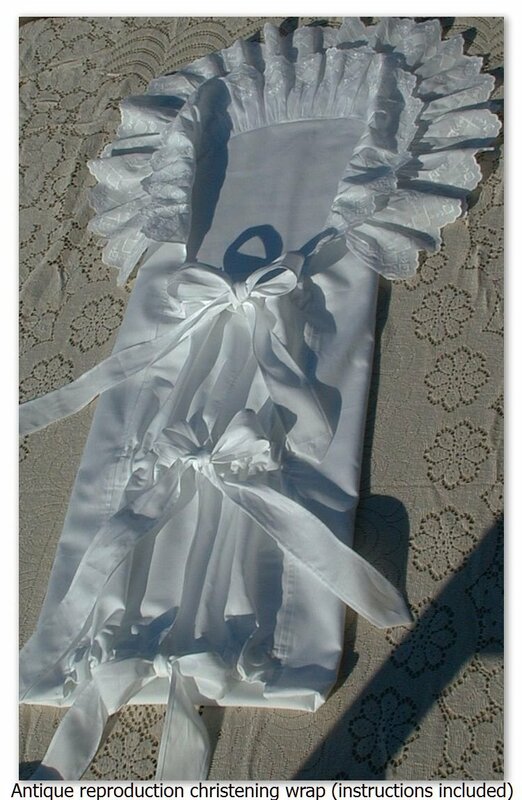 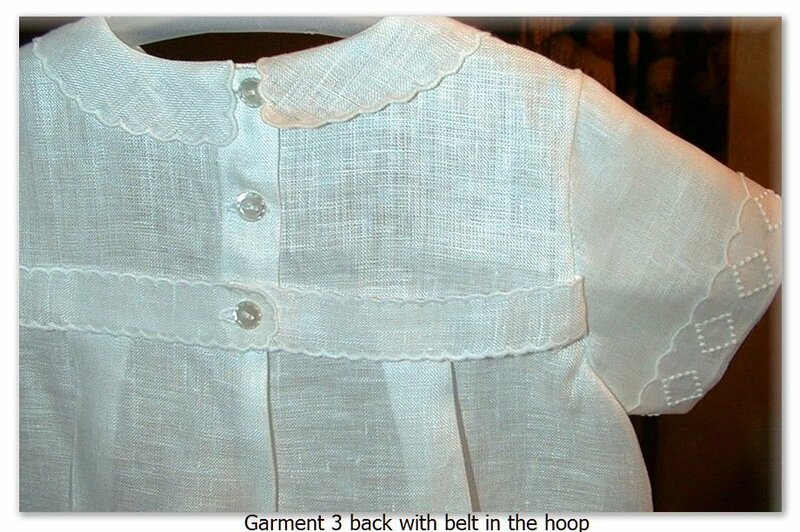 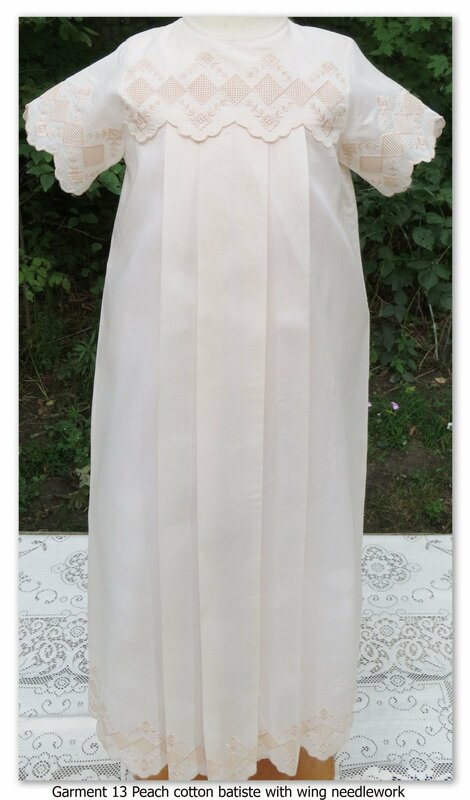 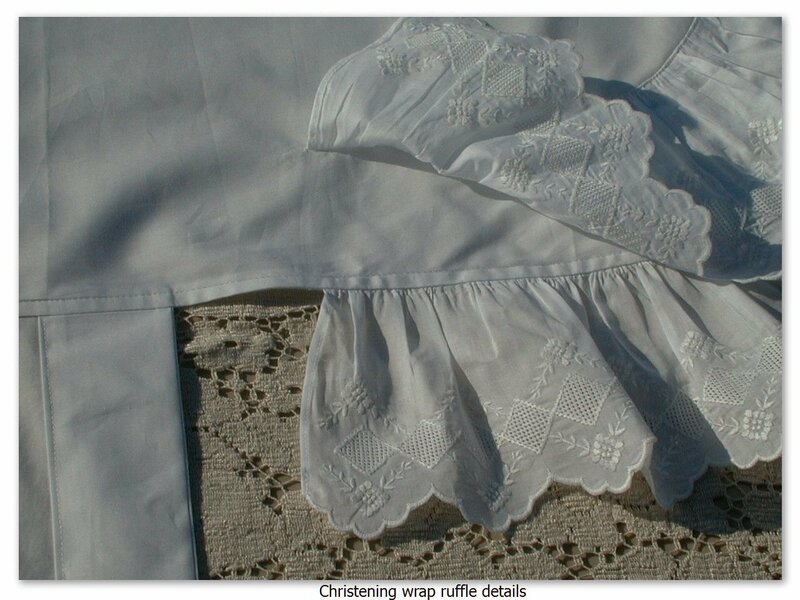 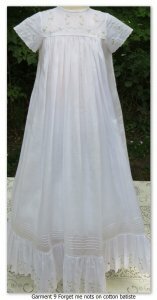 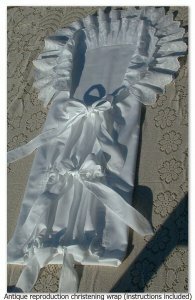 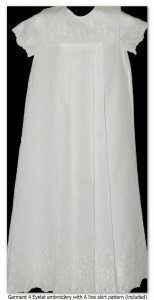 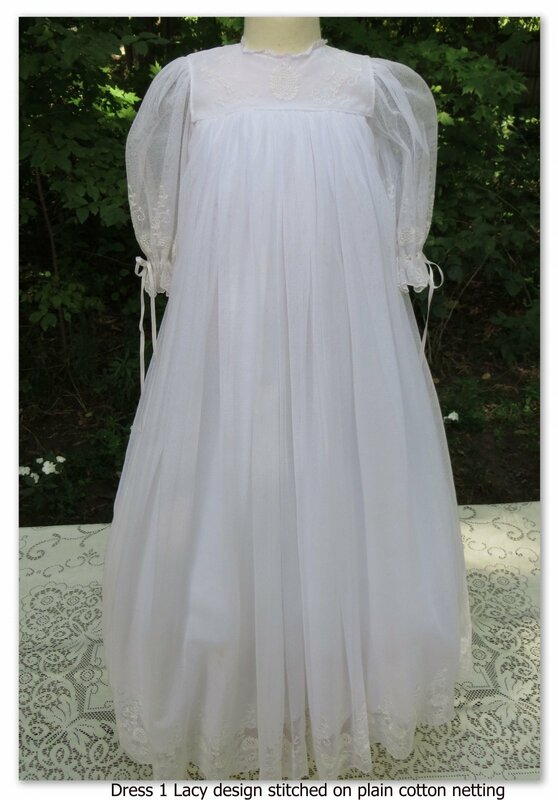 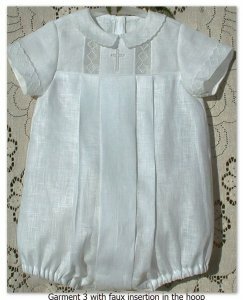 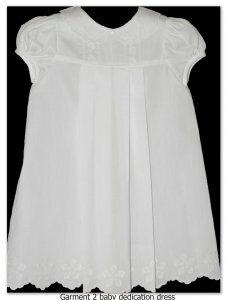 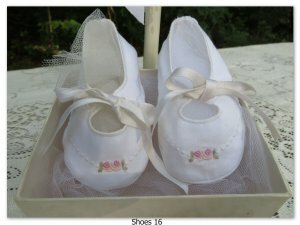 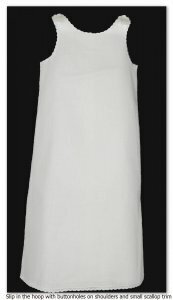 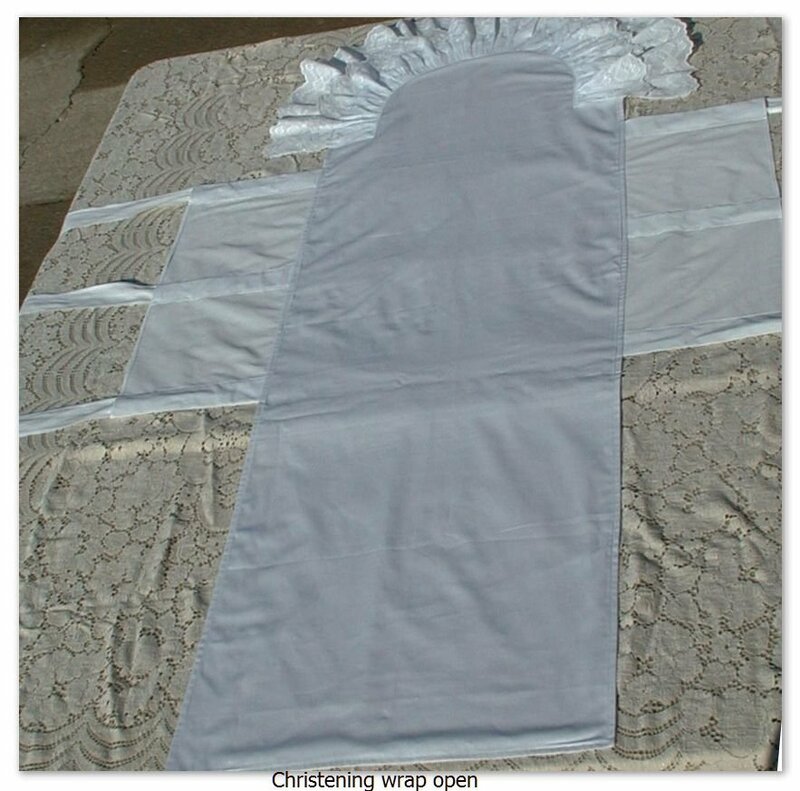 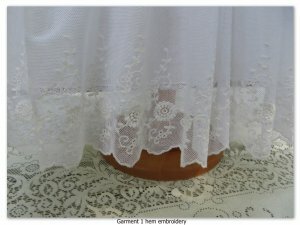 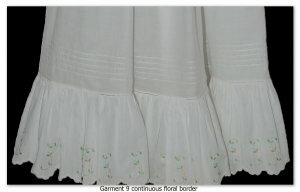 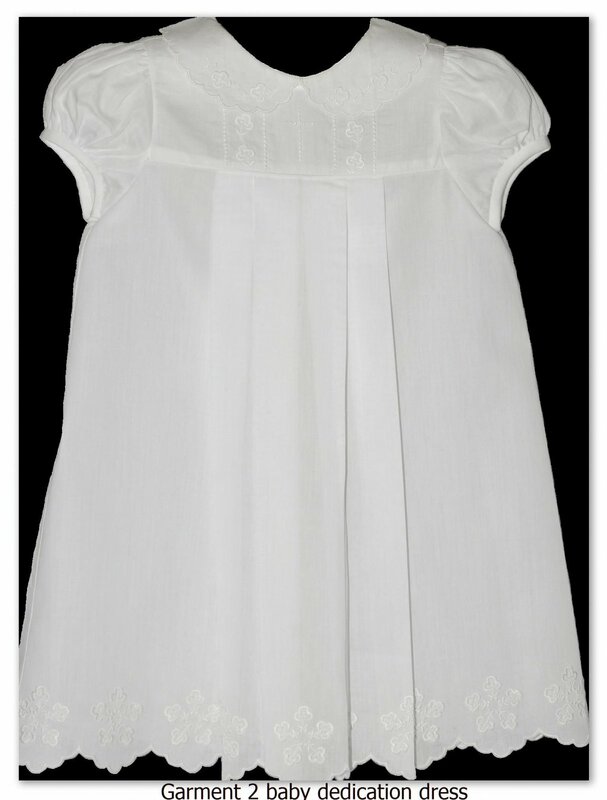 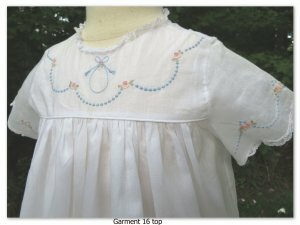 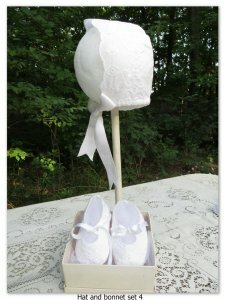 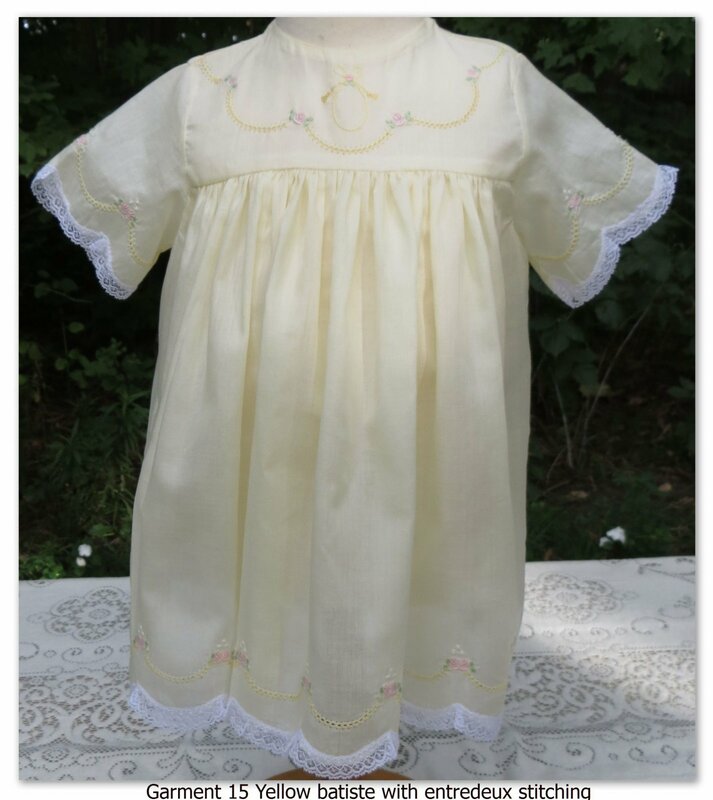 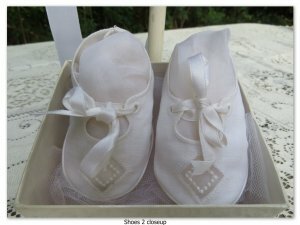 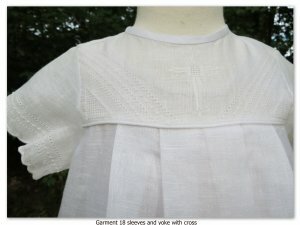 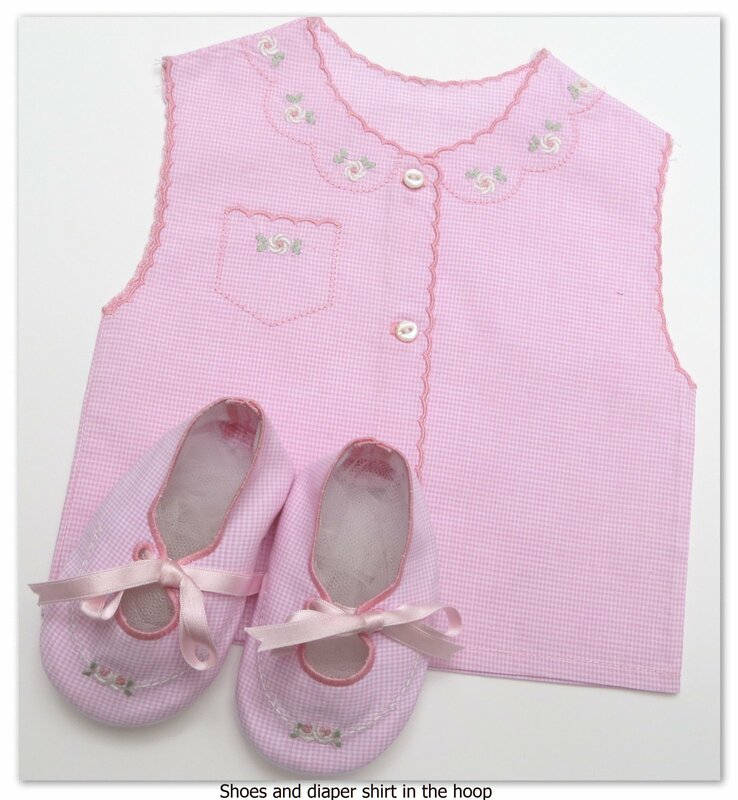 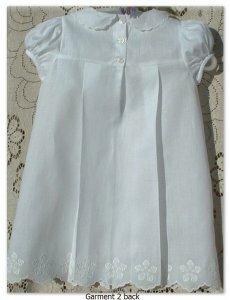 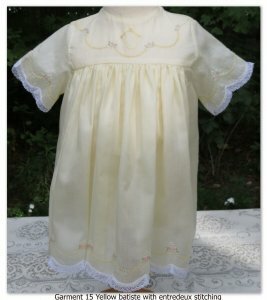 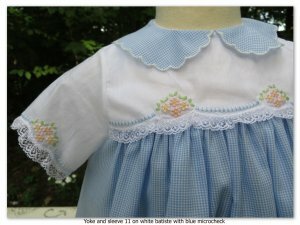 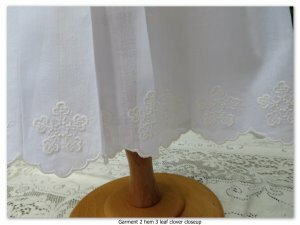 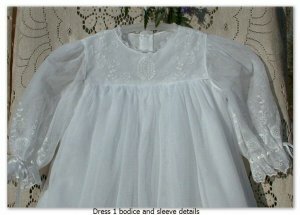 Any outfit can be made long for christening or daygowns, short for casual dresses, in either pleated or gathered styles. 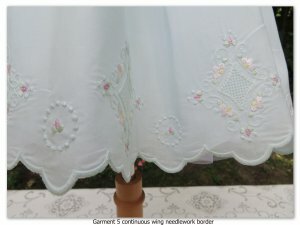 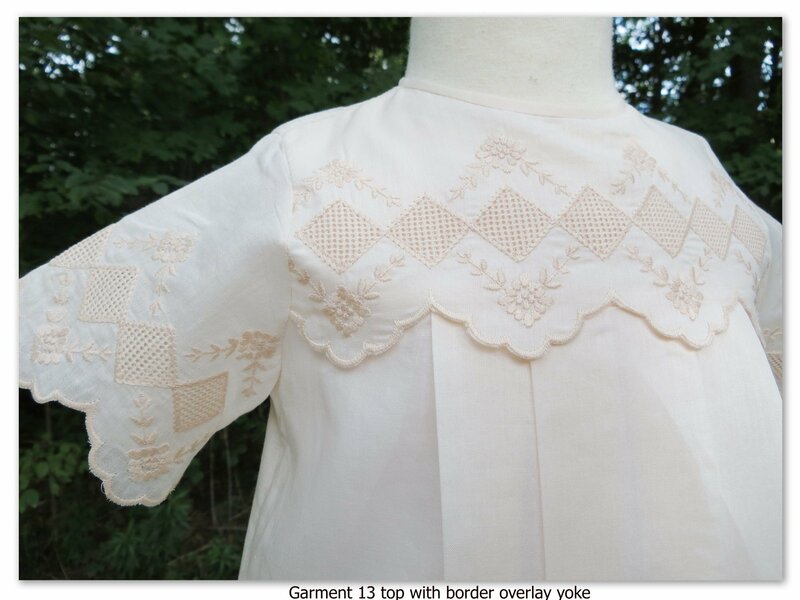 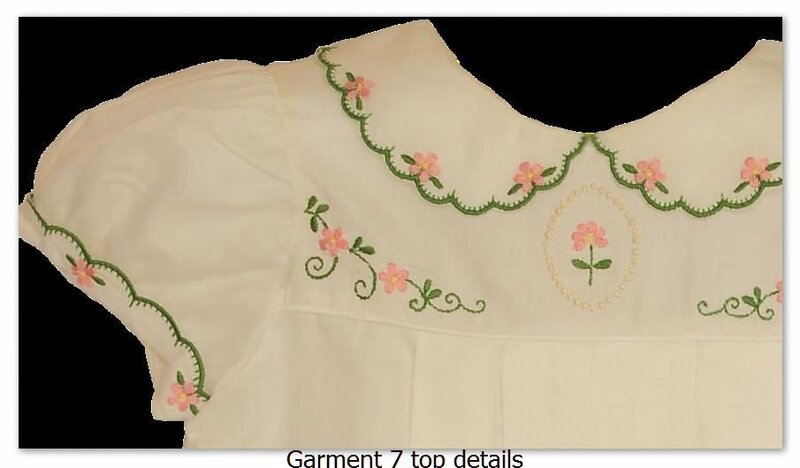 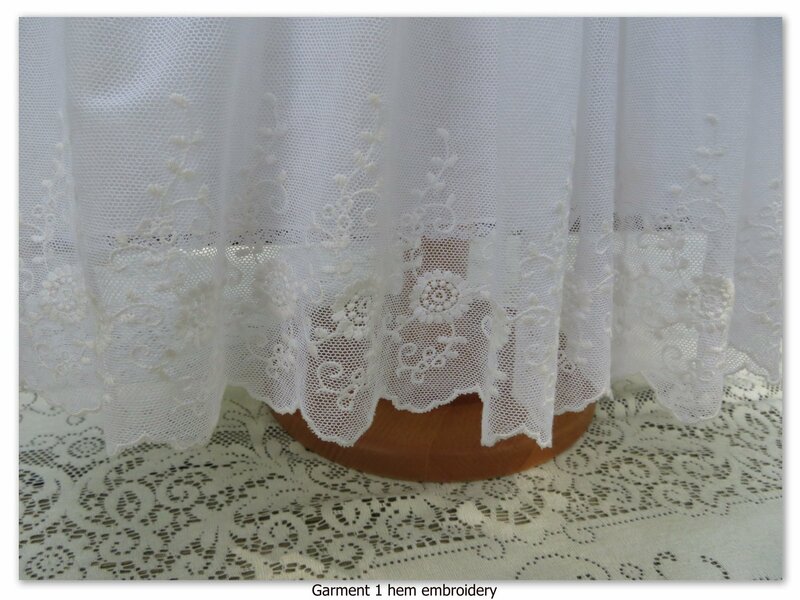 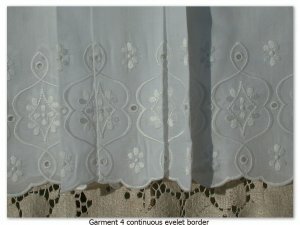 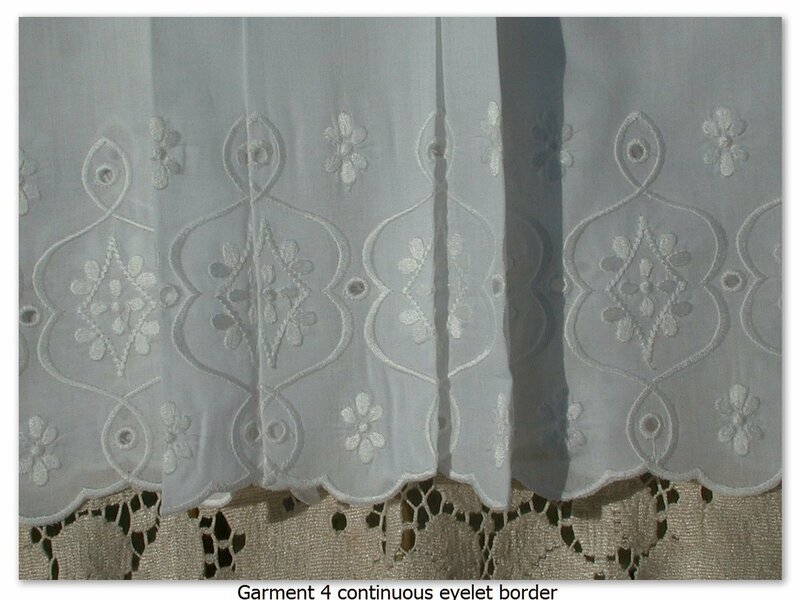 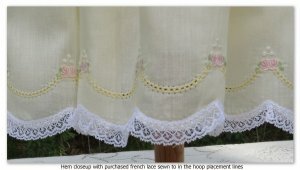 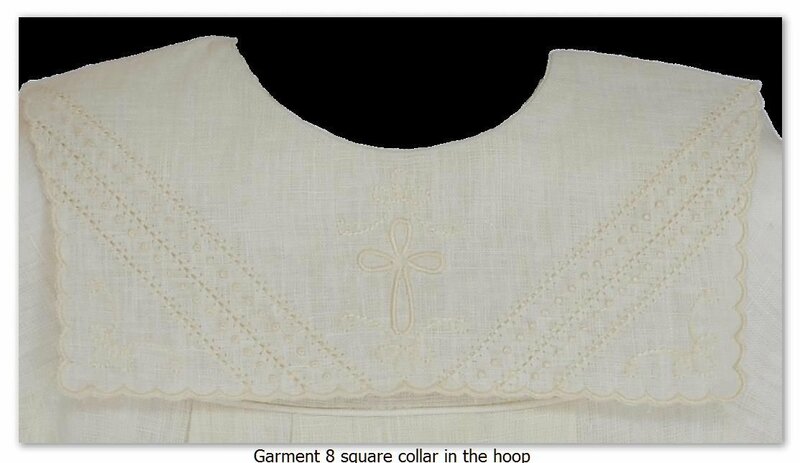 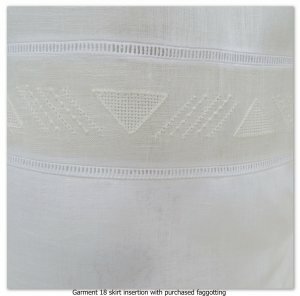 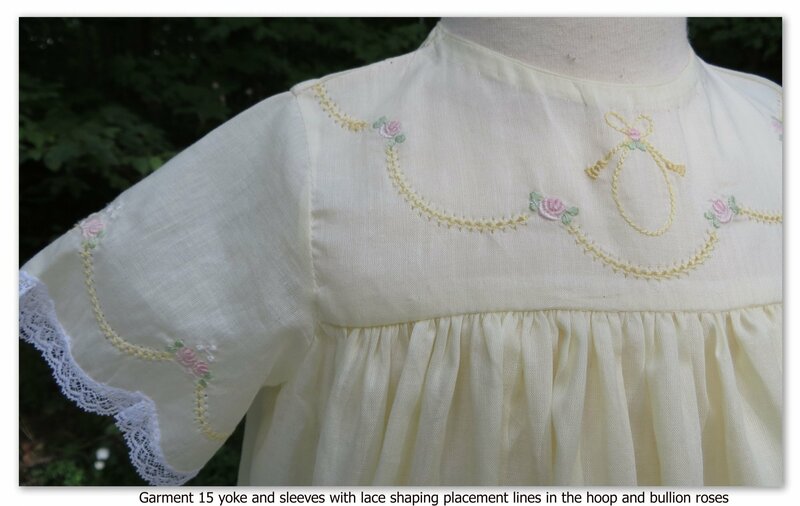 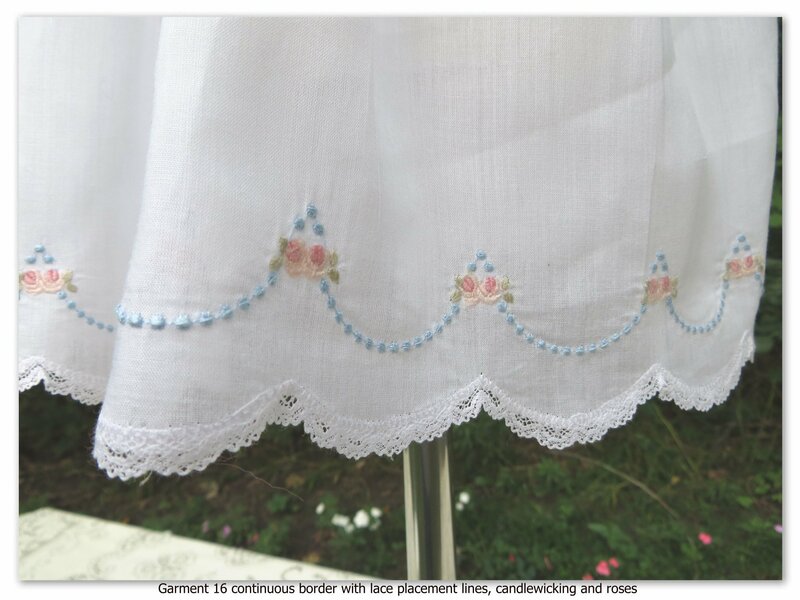 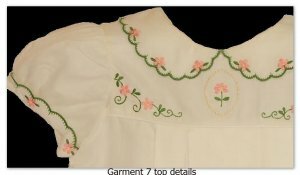 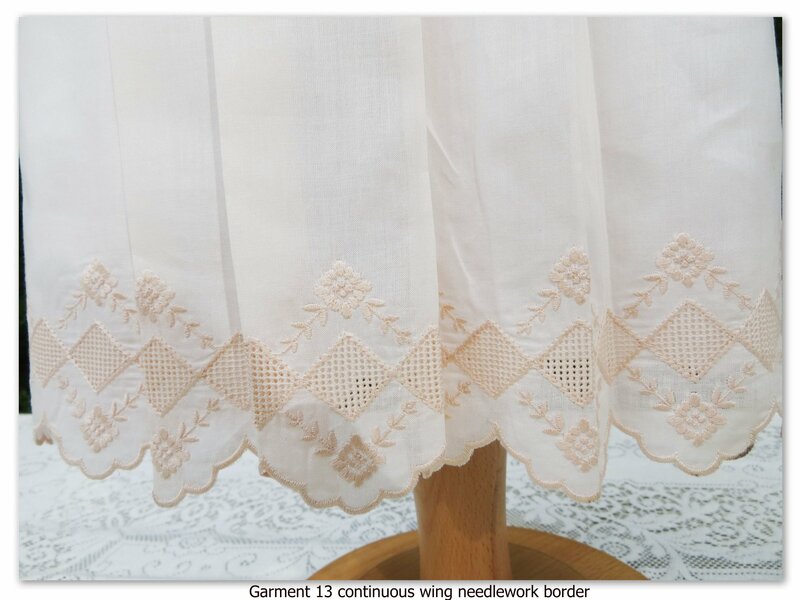 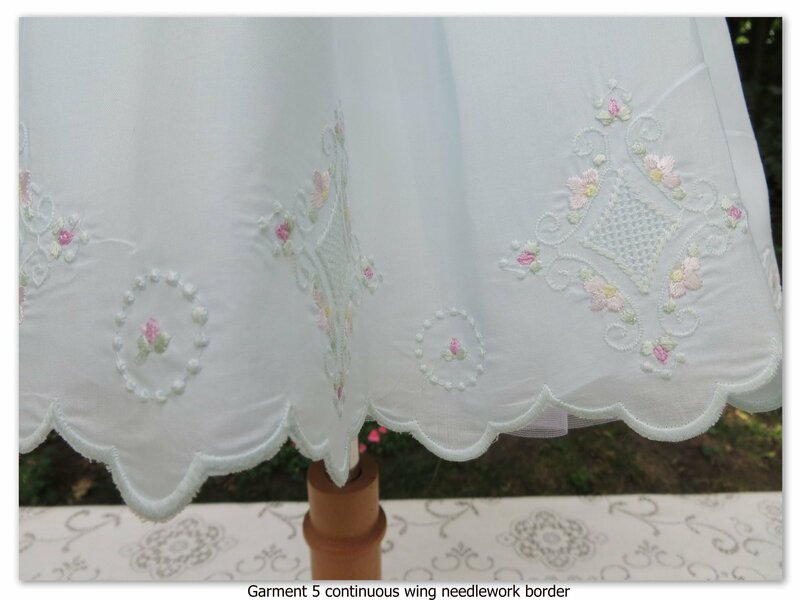 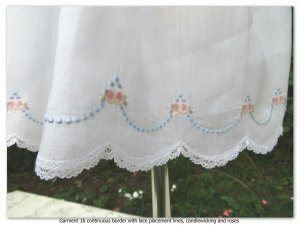 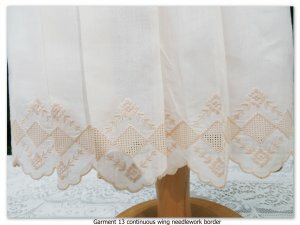 The yokes, sleeves and collars stitch in the hoop with the embellishments perfectly placed inside the pattern lines. Just cut them out and sew them together! A paper pattern is included for the bottom of the romper, side and bottom lines of slip, and any other garment pieces that are too large to stitch in the hoop. 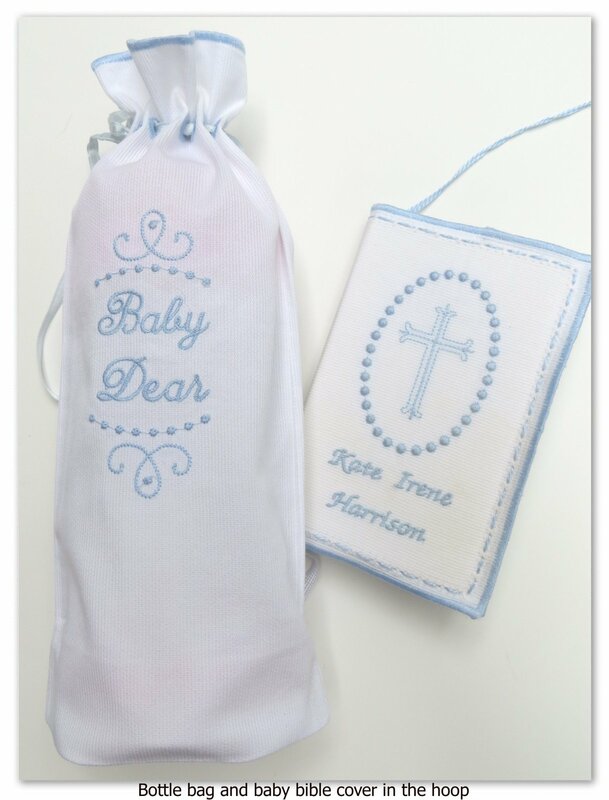 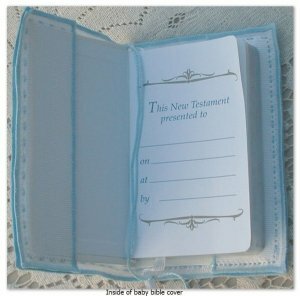 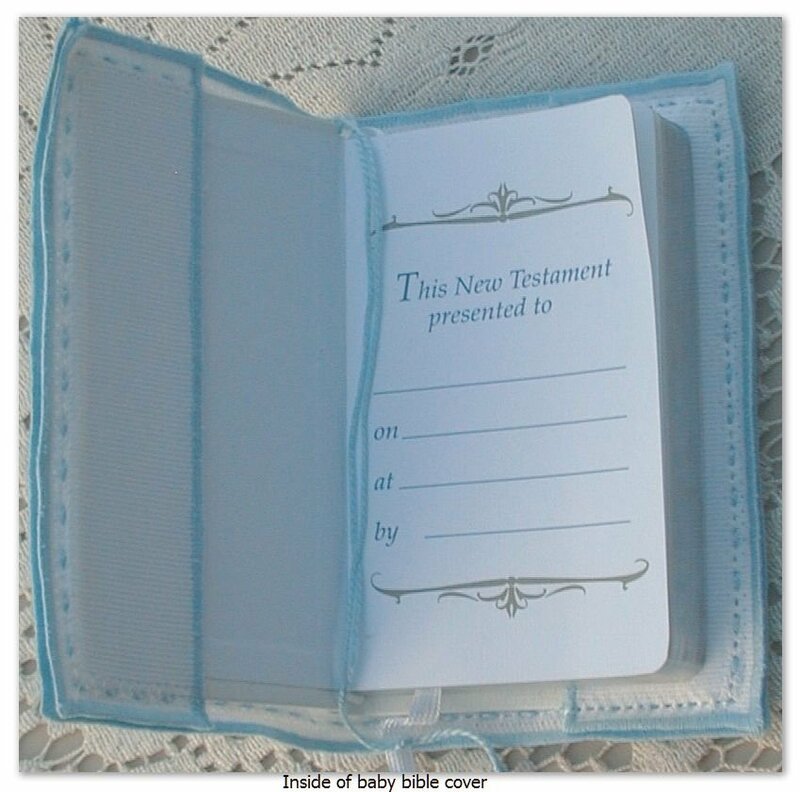 Also included is a Bible Cover, a Bottle Cover, and a Christening Wrap. 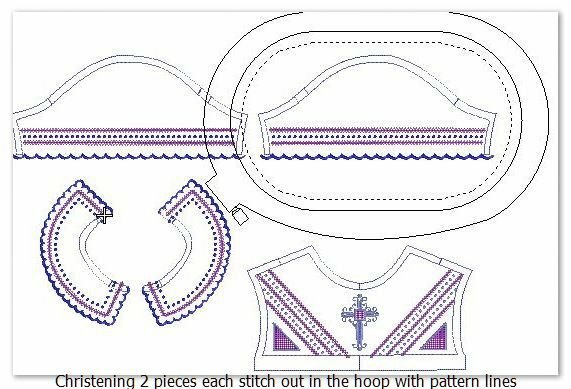 A spiral bound instruction booklet gives illustrated instructions for all "in the hoop" projects. 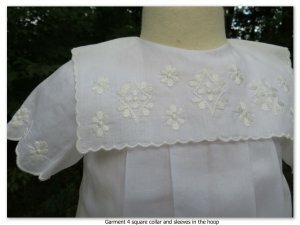 Lots of garments are shown here, but there are many more! 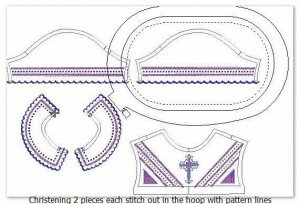 These designs are best suited for a 6" x 9" hoop but with editing, most can be stitched without pattern lines in a 5" x 7" hoop. 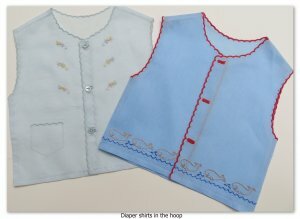 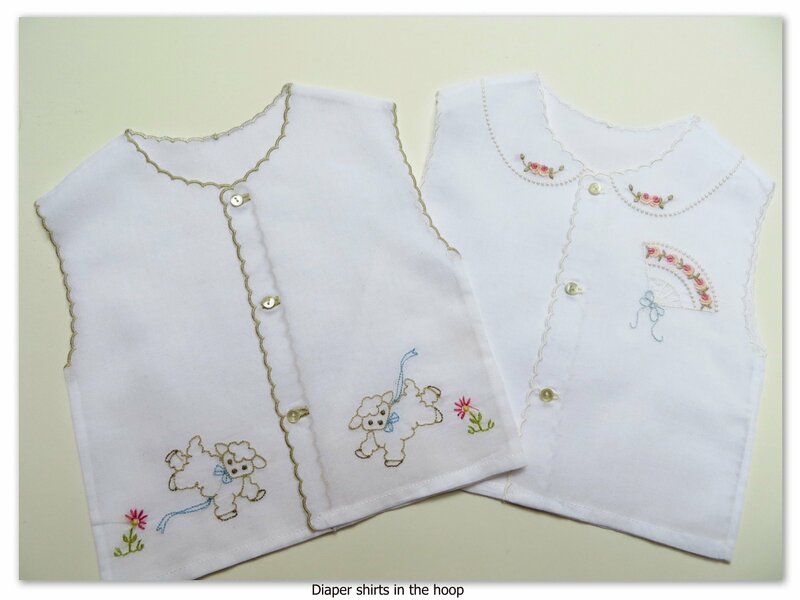 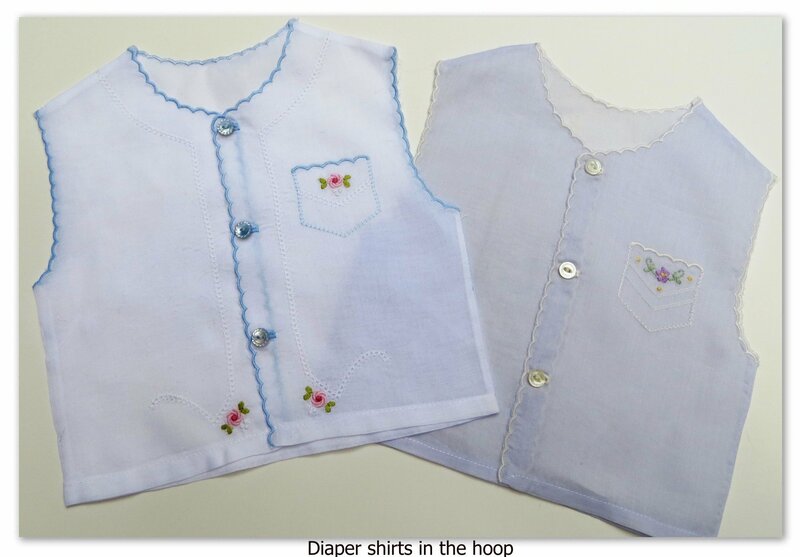 Diaper shirts and bibs are the exceptions, requiring the 6" x 9". 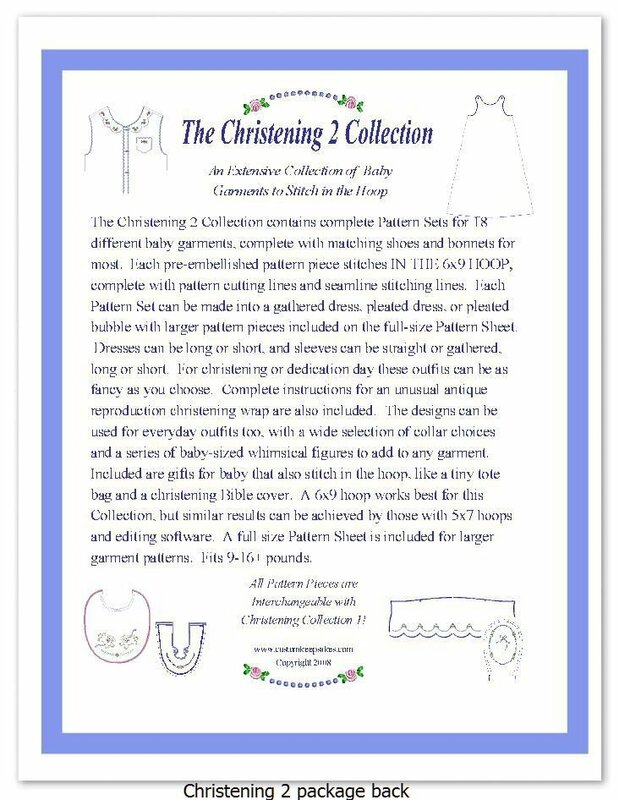 For more information, view the Design Catalog and the Christening 2 product page!